I first heard of today’s guest through my camp friend, Marnie. Kerrington is the founder of a lovely online community. I recently guest posted over there and told part of Hubby and my love story. 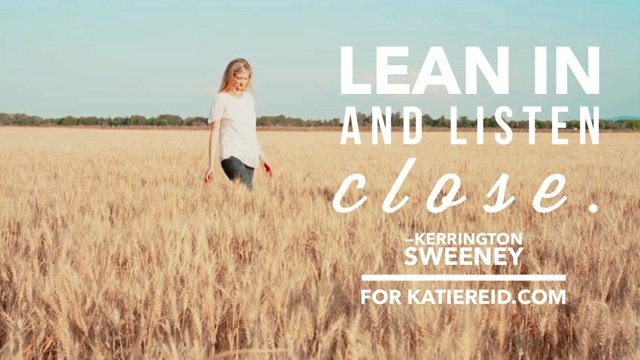 I am delighted to host Kerrington today for the second installment of the “Listen Close, Listen Well” series. Lean in and listen as we grow together (and be sure to enter the giveaway when you’re done reading). Kerrington Sweeney is President and Founder of Uniquely Yours Ministries, a ministry dedicated to challenging, equipping and encouraging women. She carries a mantle of community and walks with divine purpose to empower and compel women of faith. Kerrington, feels God’s call to embark on the journey of a lifestyle fully committed to ministry and the expansion of His Kingdom. Back in January, when I was asked to write this post, my heart was filled to the brim with excitement. I just knew upon accepting this invitation that God would show me just the right thing to share. At least…that’s what I thought. Time went on and I had been deeply praying for a story to share and absolutely nothing came to me. I waited and waited upon the Lord, but I felt like there was no answer yet. My constant flowing ‘writers well of words’ had run dry. Worry began to creep into my weary heart, as the deadline kept getting closer as the days passed. With fear of having nothing to share, I began creating evenings with a peaceful atmosphere and perfect setting to write in. I had hot peppermint tea in hand, soft worship music playing in the background, the smell of my scentsy warmer plugged in, a stash of favorite pens nearby and a brand new notebook of blank pages, just waiting to be filled with words. I sat down at my desk with great expectation, hoping—that the moment when I got up from that desk—this blog post would be completely written, finished, and ready to send off. Let’s just say, I did this for three evenings in a row and nothing came of it. There I was trying to ‘listen’ for an answer from God—when I was more like demanding an answer from Him, thank goodness for His grace! What I truly find peculiar is the theme of this series is, “Listen Close, Listen Well.” So of course, the enemy was attacking and working double time in that area of my life, in attempts to see me fail miserably. Although I felt this post would end up being a big, fat failure…God’s presence fell upon me and I just knew that I knew, if I would just wait a little longer, the words would come. And come they did….as I began to recall the many moments in my life, where I audibly heard from God or was simply lead by the Holy Spirit, none of them really stood out to me in a profound way, that was packaged nicely for sharing. “Shoot! What am I supposed to share God? !” Was my constant thought. Question upon question, worry upon worry began to pile up in my spirit. 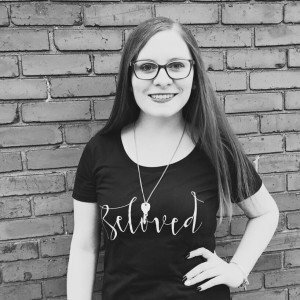 Two days before the post was due, with not a thing written, I went to bed trying to think of ways to tell Katie, that I wasn’t able to participate because I just couldn’t hear from God. It was then that I knew, something had to change in my life. Over the past few years, I had been so wound up in being busy and serving everyone that I possibly could, that I didn’t even keep or devote time to just stopping and listening to God. Never become too busy to stop and listen. 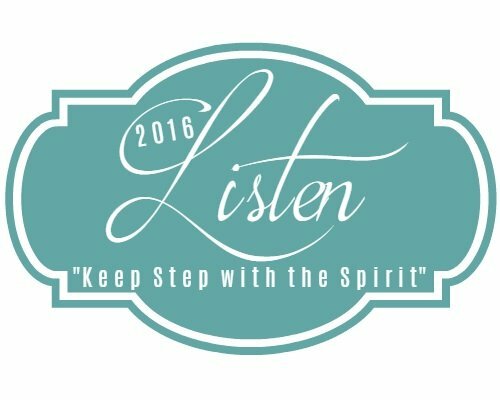 Even if you don’t always hear something, listen and wait upon the Holy Spirit on a daily basis. P.S. Learn more about Uniquely Yours Ministries. Listen Close, Listen Well: Not Ours to Give Away by Tiffany Parry. P.P.P.S. 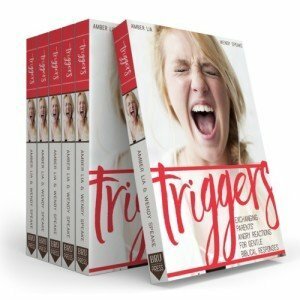 Last Tuesday my friend, Wendy Speake, guest posted in honor of the Triggers book coming out. Today, you can enter the giveaway below for a chance to win a paperback copy of Triggers: Exchanging Parents’ Angry Reactions for Gentle Biblical Responses. The contest is open from now until next Thursday, March 3rd. I will announce the winner on Friday, March 4th, 1:30 EST on Periscope during #WeWrite (follow me @Katie_M_Reid) and also on my Author Facebook Page. A wonderful message for all times: listen close, listen well. May I do better at it today than I did yesterday. Thanks for sharing. So true! Sometimes I’ve found listening to be difficult because of the expectations I set up for that time. It’s kind of like you said…demanding an answer. I’m so thankful that God is gracious and loves us so much that he tenderly helps us see this and move into a deeper place with him. Thanks for your encouraging post!